Heavenly blog! : No. 1296: Jan Aage Torp screaming, howling and edifies everyone and everything, but the thing is that he is not a lawyer, and has obviously zero bearing on law and spiritual matters! No. 1296: Jan Aage Torp screaming, howling and edifies everyone and everything, but the thing is that he is not a lawyer, and has obviously zero bearing on law and spiritual matters! Jan Aage Torp screaming, howling and edifies everyone and everything, but the thing is that he is not a lawyer, and has obviously zero bearing on law and spiritual matters! Image of monkey Julius that will surely not stand back from Jan Aage Torp to understand many things. Issues such as law and what God's word says about how to live as a Christian. 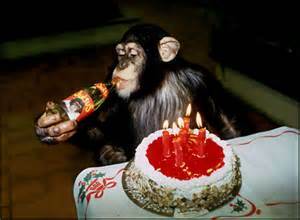 Jan Aage Torp celebrates with monkey Julius a non enforceable judgment! This printer Brynjar Meling, "Torp reaction is only suitable to illuminate his inadequate understanding of the legal issues raised by the case. To refer to a tingrettsdom not enforceable is worthless. Whether it is appealed on one or the other kind. At an appeal in a writ issue passes to the Court, is in itself remarkable. These cases will initially rejected. In this case, we know what is written. The question raised is only if this is protected by freedom of expression. " "It is a selective and misrepresentation." This just tells that what I have written and spoken, is right and proper! I think most that this case will be sent back to the Oslo District Court for an error in law, what then? Then it will stand between who is "bad" by me, and Torp and his poodles and lackeys. Where the court has to decide two opposites, where warranted I will go free. While Torp will be eventually convicted of false accusations and Torodd Fuglesteg and Ansgar Braut will obviously be sentenced for harassment, bullying and everything else. When they are also stalkers, who have visited my family and terrorized my famille! Here's what a stalker is. As I'm sure Ansgar Braut and Torodd Fuglesteg will be convicted if the case is taken up again. It can not be that I say something, then it is a criminal offense. But what these two say and write, which is a thousand times worse than me. It is not an offense, it is obvious that these two are the two largest and worst net roll. (I have no idea who these two are, so that I write as a third person under a false name as Ansgar Braut do is just nonsense). This is certainly no victory for Pastor Torp. Rather it shows that Torps and their lackeys and straw men Torodd Fuglesteg, Ansgar Braut and all those others who have fought in Torp's side now have bitten himself in the tail. First, they embarked on a violent hate campaign against Jan Kåre and sent thousands of mail, especially was Ansgar Braut threatening. So they made a false smyrnaside which is blasphemous and evil by nature. Then, when the matter now goes to the victory of Jan Kåre, they are silent and pretend Torp in the lurch. Quite a few men there! The biggest clowns in this circus is Torodd Fuglesteg, the man who is a Satanist in the heart -i half religious vestments. Ansgar Braut: Up like a lion, must come down. He He He ... where heroes have fallen. For now they are silent. Maybe not Torp had enough support to complete? This is all really a defeat for Torp? Taking the ruling of the district court for granted -after this be considered by Court of Appeal is well to sell the skin before the bear is shot? In my world, it is the application of the law should be reconsidered, the same as the issue should up again in court -If the court concludes that the verdict is built on an error in law. October 20th was the 37-year-old NESBU sentenced to four years in prison for the attempted murder of a 36 year old man. Now Eidsivating Court ruled that the case must under consideration by the district court again. The High Court has canceled the ruling because they believe the court has provided false justification for the willful term. In this matter may appellate court invalidate the District Court's judgment because it is based on an error in law. I think the prosecutor in the case must have made a bad homework. Then again beats know-Torodd Fuglesteg to. He and Ansgar Braut is the only sword bearers Torp now. Strange company. The two biggest networks roll, one satanist, the other seemingly religious without following the Bible. We thought Torp had made better choices. Now it remains only formal. This case will end with Jan Kåre will be acquitted and the evil trinity, Torp, Fuglesteg and Braute Ansgar will be back as losers. Such is the reality. Weather man and complete the race. Brother Christensen has much right in what he writes "This is leaflet where it is pointed out that Torp must pay any matter itself, then it goes without saying that Torp not anchor. He never sacrificed anything for anything, but let always everyone else pay for their own 'Guild!' Manglerud police Ansgar Braut Torodd Fuglesteg, even ladies he gets to let themselves exploited. "I was thinking of Siri Haugen with more people enough have understood that they supported a dead horse. Now only Torodd again, even Ansgar have understood that this carries bust to home. Satanists and Narreapostlen, it could be better ?? Stalking or prosecution is a morbid and obsessive preoccupation or obsession with another person and implies that this other person is being persecuted and subjected to unwanted attention and harassing behavior. The person who persecute people, can be called a stalker or tormentor.